Looking for lower Dental x-ray costs? Why not buy in bulk? 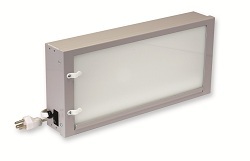 Currently we offer the following products for Denistry and/or Orthodontics: Sensor sleeves for digital sensors, phosphorus plate covers/envelopes, positioners, dental view boxes, plus sanitary wipes. Most items sold in packs of 4 below. If you are a new Dental customer to ClassicXray.com and would like to try a single pack contact us at 573-308-4448 for pricing. The Flow Dental Comfees Digital Sensor Sleeves make sensor imaging easy and quick for the dental technician, while being safe and comfortable for patients. The Comfees Digital Sensor Sleeves have a unique, textured design that allows the sensor to glide effortlessly into the sleeve. 4 packs of 500. Total of 2000 barrier sleeves included! The sleeves are available in Large fitting most size 2 sensors and Medium fitting most size 0 and 1 sensors. Please indicate Large or Medium size below. 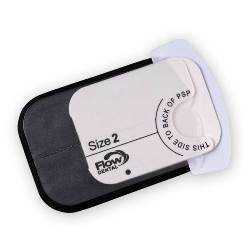 The Flow Dental Econo Comfees Digital X-Ray Sensor Sleeves are durable sleeves affordably priced making them ideal for any dental setting. 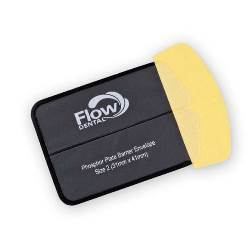 The Flow Dental Econo Comfees tear off easily from the sensor after use. 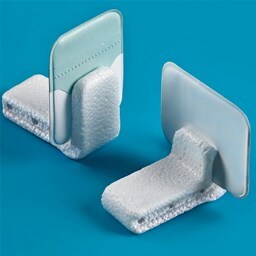 Additional features include edgeless seams and rounded corners for added patient comfort. 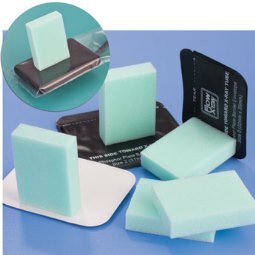 Flow Dental Econo Comfees Sensor Sleeves are affordable at just 3 cents a sleeve, yet are manufactured to prevent tearing while in use. The sleeves are available in sizes medium, fitting most size 0 and 1 sensors, and large, fitting most size 2 sensors. 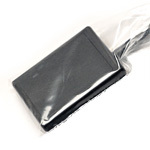 The best PSP envelope you can buy! Our Deluxe Safe’N’Sure now features our unique EZ-GLIDE loader / sealer! The E-Z GLIDE lets you slide your plates into the envelope. No mess, no fuss. Then when you peel off the loader’s tab the bag virtually seals itself! How’s that for easy? Ready for processing? Our unique center seam lets you tear open the envelope and feed your plate into the reader without ever touching it! 4 packs of 300. Total of 1200 plate envelopes included! Available in sizes 0,1,2, and 3. New Safe'n'Sure OPT barrier envelopes are pre-loaded with cardboard inserts specially designed to hold Soredex plates. Load your plates fast and easy with our unique EZ-GLIDE tab that virtually seals itself. You save time, and save plates from bending so you can prolong their usage! 4 packs of 250. Total of 1000 plate envelopes included! 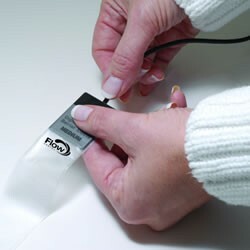 Sticky Bites make digital sensors, phosphor plate, or film positioning quick and easy…simply peel and stick! The soft polyethylene foam is comfortable to bite, and can be used for Anterior, Posterior, and Bite-Wing images. Quick, easy, affordable, and 100% Latex free, New Sticky Bites help you take a great image! 4 packs of 500. Total of 2000 positioners. SUPA’s (Single Use Positioning Aid), are new and improved! These single use, (single use per patient, not per exposure!) bite blocks are now made to work with either Film or phosphorus plate envelopes! The new SUPA’s are redesigned with rounded corners and a smaller form –factor for greater patient comfort. SUPA’s can be used as a stand-alone bite block, or with our RAPD aiming rings and arms to form a paralleling system. SUPA’s are made of biodegradable materials, and come 100 to a box. Quick, easy, and accurate film or PSP positioning- what a SUPA idea!! 4 packs of 100. Total of 400 positioners. Clean phosphorus plates (PSP). Removes dirt, fingerprints, dust, etc. Features and Benefits: Single use, no mess. Cleans thoroughly. Economically priced vs. competitive products. Disposable, no mess to use. Keeps your PSP plates clean, for longer life. Half the price of the leading brand. 4 packs of 50. Total of 200 wipes. Stand out from the competition! 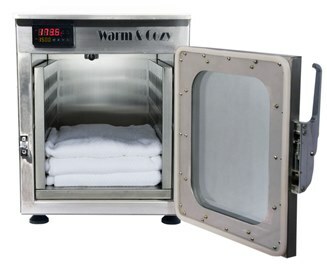 Keep your patients Warm and Cozy with our deluxe tabletop blanket warmer that will hold 7 single bed size blankets. •Outside dimensions = 16x24x20 in. •Inside dimensions = 13x21x13 in.